Eye Street Massage Therapy has set the bar in Washington D.C. for massage and quality of service since 1997. We are a professional massage studio with licensed therapists who have over 40 years of combined experience. As the saying goes ‘practice makes perfect’ and our staff has had the time to refine its technique to a finely tuned art. We have specialists in different forms of massage therapy and bodywork who constantly stay up to date on the leading advancements in the field. In addition to taking continuing formal education in various massage modalities, it is our policy at Eye Street Massage Therapy to have our staff refine their techniques by working on each other once a month. Having the whole staff give positive criticism ensures that our clients only receive the best of care which is tried, tested and true. 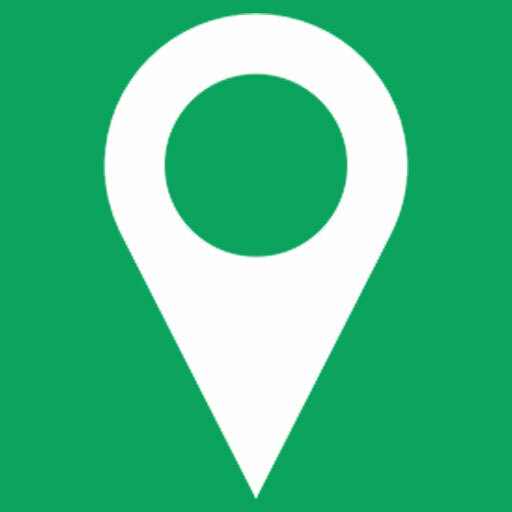 We take great pride in offering the people of Washington D.C. a variety of different therapies; all under one roof. Our personal approach to your mental and physical well-being has gained us a reputation as one of the most knowledgeable, accessible massage therapy centers in the area. Atsuko ("Ako" for short) was born in Japan and is following in the same career path as her grandfather. She has always been interested in massage and how the human body works. She has taken workshops in Japan, India, and Greece, studying various forms of yoga, Tai Chi, massage and other modalities. When she came to the United States, she began formal study of massage therapy. 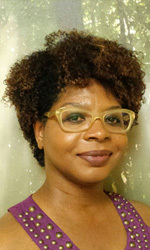 Since completing her basic certification in massage therapy at the Potomac Massage Training Institute and obtaining her national certification and DC license, Ako has continued to look for and learn different ways to help people with different needs, including positional release, neuromuscular therapy techniques and abdominal visceral massage. She obtained her certification in pregnancy massage and is also certified by the Norton School in Complete Decongestive Therapy (CDT), including Manual Lymph Drainage (MLD). 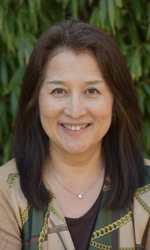 She was always interested in energy work and started learning Reiki in the U.S. She returned to Japan to complete her studies of Reiki and attained the level of “Master” from the Gendai Reiki Healing Association in Japan and is now active in the Gendai Reiki Network USA. .
Omni is an experienced massage professional with clinical and therapeutic experience. She practices a number of massage modalities including Swedish, deep tissue, pre and postnatal, neuromuscular/trigger point therapy, myofascial therapy, sports massage and aromatherapy. She has a background in physical therapy and nursing, and is nationally certified and licensed in the District of Columbia and in Maryland. 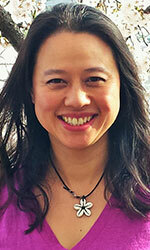 She is a member of the Associated Bodywork Massage Professionals (ABMP). She graduated from the National Massage Therapy Institute. Her family is the most important thing in the world to her and she does a lot of volunteer work as a way to give back to the community. Chelsey is a graduate of the National Massage Therapy Institute. After her years as a dancer she found interest in learning more about the body and how to help others live and move more efficiently within their own. She believes that massage can not only improve one’s health but can help an individual discover a more peaceful way of wellbeing. 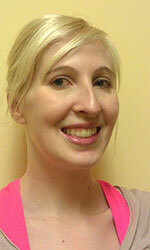 Chelsey’s main focus is in deep tissue and neuromuscular therapy. Her goal is to meet each client’s need and promote relaxation and stress relief through a purposeful, caring touch. She is nationally certified and licensed in Washington DC. Outside of massage Chelsey has found a love for yoga. She enjoys having an at home yoga practice and believes it has helped her find a peaceful approach to connecting the mind and the body. She feels that yoga and meditation has helped shaped her approach to facing day to day challenges and wants to help her clients find that same ease to managing stress. Chelsey is also very passionate about travel. She hopes to continue to explore many different cultures and countries and to let the world be her teacher. 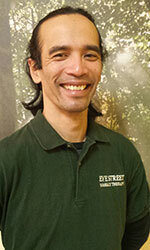 Edmund graduated from the National Massage Therapy Institute in Falls Church, VA in 2007. In 2010, he earned a BA in Psychology from the University of Maryland, Baltimore County. He then went on to study Health Psychology at the London Metropolitan University in London, and earned his postgraduate diploma there. Edmund combines his professional massage training with a martial artist’s appreciation for form and flexibility, a psychologist’s consideration for global function, the health psychologist’s more narrow focus on environmental and habitual influence, and a clinician’s reasoning to evaluate and treat each client’s unique needs. He takes into account the ways in which different parts of the body interact and pays keen attention to detail to understand body-environment stress points. He specializes in deep tissue, integrated with elements of myofascial, neuromuscular, trigger point and sports therapies with a focus on addressing use-related injuries, chronic pain conditions and postural problems. More than just pain relief, for him massage is about getting people moving again – whether their goal is to be better able to meet life’s obligations, or simply to enjoy being active. James Foulkes has been involved in the alternative healing arts for more than 13 years and specializes in working with groups and individuals in Yoga, Tai Chi, Qi Gong and Cranial Sacral Therapy in Washington, DC and the surrounding region. James has a RYT500 certification with the Yoga Alliance and is a member of the International Association of Yoga Therapists (IAYT). Working one to one with James is simple and straightforward. His instructions are clear and the healing and energetic benefits are perceived quickly. Sessions are suitable for both new and experienced students and for people with conditions of all kinds. May of 2018 will mark 20 years of Sage practicing massage therapy. During the past 19 years, he has practiced from Hawai’i to Washington DC. 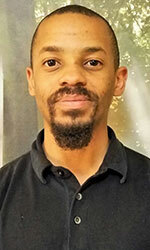 He has also taught at several schools such as Potomac Massage Training Institute in Washington DC, the Heritage Institute in Virginia, as well as the Arizona School of Massage, and New Samaritan High School in Arizona. Sage has studied various therapeutic modalities from a variety of cultures. From the formal training of Swedish, deep tissue, and myofascial at the Baltimore School of Massage; to medical massage, Lomilomi, Thai Yoga, Reiki and many more; to the training and studies of esoteric modalities such as shamanic healing and sound therapy. Sage also works in the outdoor industry. His outdoor career began in the mid to late 90's as a bike messenger in DC. Currently Sage also works with REI’s Outdoor School as an instructor. Lisa Wilder is a compassionate intuitive healer with over 20 years of experience in the healthcare field. She graduated from the Potomac Massage Training Institute and began her career working closely with chiropractors and physical therapists, and assisted with the rehabilitation of clients who were dealing with a variety of physical ailments. Her approach combines both science and the ancient healing arts. She studied to become a Usui Reiki Master at Takoma Park Metaphysical Chapel in 2004, and in 2008 completed a Biodynamic Craniosacral Therapy certification program with Rose Khalsa, which also included Shamanic Studies. She took Pranic healing coursework at The Pranic Healing Institute in Virginia, which allows her to work with stubborn illnesses as well as spiritual imbalances and financial alignments. Many of Lisa’s clients come for transformational chakra balancing sessions. Lisa may include guided imagery, meditation, crystals, sound, reflexology, Thai yoga and aromatherapy in her customized sessions. Lisa offers a heart centered approach to her healing, as she continues to practice, learn and share her knowledge in holistic wellness. She is also able to offer distant healing via phone or Skype upon request. 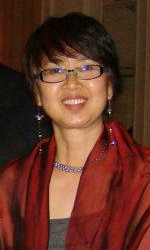 Mayumi is a Japanese Master of Gendai Reiki Ho System. She enjoys her energy work in a variety of modalities including Applied Kinesiology, tuning fork sound therapy, and Hemi-sync guided energy healing. Her unique healing methods involve using the kinesiology muscle test and 14 tuning forks. Each tuning fork has the same frequency as one of the 14 of the Chinese Acupuncture Meridians. These body meridians serve as energy passageways throughout the body. Mayumi uses these techniques to unblock energy congestion in a client's body meridian and tune the imbalances in his or her mind, body, and soul. Mayumi works with Hemi-Sync technology, which mixes binaural beats, music, and other natural sounds to enhance brainwave activity in a variety of manners. Through spiritual guidance from not only her clients but also from other outside realms, Mayumi uses Hemi-Sync to help clear and relieve negativity from her clients' minds. Her Reiki work induces deep relaxation on both conscious and unconscious levels. She aims to reduce stress and pain, while activating her client's healing potential. 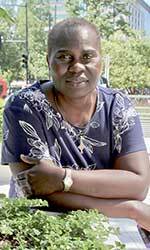 Pamela Moyer has been as a licensed massage therapist in DC since 2004. This was a career change for her, transitioning from the corporate and non-profit world, doing communications work. She enjoys helping people and providing a much needed service to the community through her massage skills. She graduated from the National Massage Therapy Institute in Virginia, received her national certification from the NCBTMB and is a member of both AMTA and ABMP. She incorporates a variety of techniques in her work: Swedish, deep tissue, trigger point, neuromuscular, myofascial therapy, stretching, and more. She often finds herself working with clients with stubborn or chronic conditions. Her goal is to assess possible causes for the pain, provide relief, and to help the client with self-care techniques so that they can maintain their body in a more balanced state. Pam enjoys promoting overall health and well-being, and believes that a healthy mind, body and spirit are complementary. 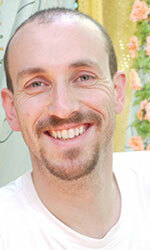 Robert graduated from the Potomac Massage Training Institute in 2006 with a certification in massage therapy. In 2007 he received his certification in orthopedic massage from the Institute for Therapeutic Massage in New Jersey. 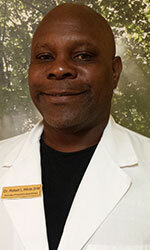 Robert continued to hone his skills at the Washington Institute of Natural Medicine in Washington DC. In 2011 Robert received a certification from Erik Dalton’s Freedom from Pain Institute in myoskeletal alignment, an advanced bodywork which uses the principles of osteopathy and rolfing to create an effective non-impact, low force soft tissue work. Robert later received his doctorate of integrated massotherapy from the First National University of Therapeutics. He has been shaping his practice around functional medicine as it relates to the musculoskeletal system. Robert also performs postural analyses and functional assessments.